Home> News> Working towards a sustainable world? Tell us about it! The European Youth Forum has launched a new research project aiming to showcase the innovative and diverse ways that young people are working together to build a better, fairer, more sustainable future. We know that youth organisations across Europe, from national to regional and local level, are doing amazing things that have a positive impact on our societies. But all too often, we are fighting our own battles without knowing the bigger picture. In fact, so many of these projects, campaigns and actions are crucial pieces of the puzzle helping us all to achieve the 2030 Agenda for Sustainable Development. With your input, we will be able to showcase what youth orgs are already doing and create a toolkit for all of us to work more effectively towards a future that benefits both people and planet. 1. Let us know about the work your organisation has been doing! Input to the survey here. 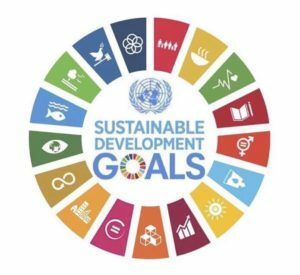 Unsure how exactly the Sustainable Development Goals (SDGs) link to what your organisation is doing? No problem! Let us make the connection. 2. Help us involve as many youth organisations as possible. It is important to us to build a full and accurate picture in our research. Please share the link with your member orgs & networks! 3. Join the webinar here and become an ambassador! Register now and join us on 3rd September 3pm-4pm CET to learn more about the project & how you can help. Want to find out more about what we will do with this research? We’ve got all the details here. Do not hesitate to contact Youth Forum Policy Officer, Jan at jan.mayrhofer@youthforum.org or our external researcher, Claire at claire-gillette@orange.fr.